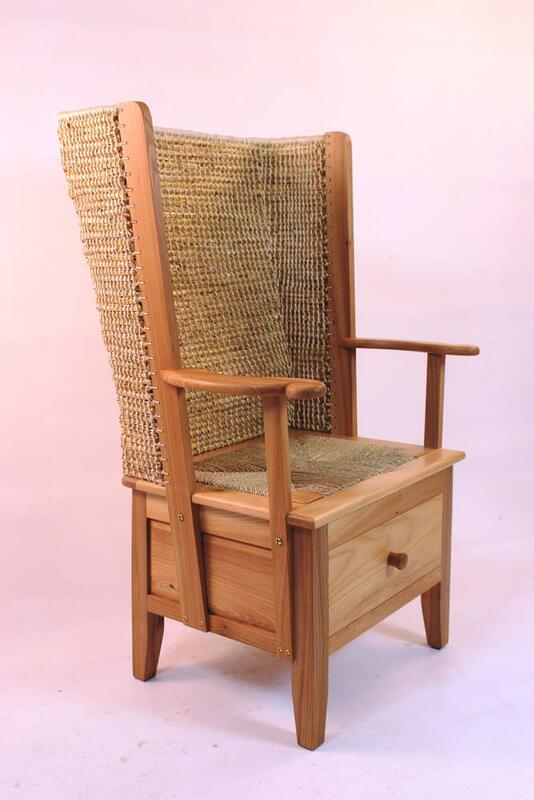 The Orkney chair is so much more than just a piece of furniture. 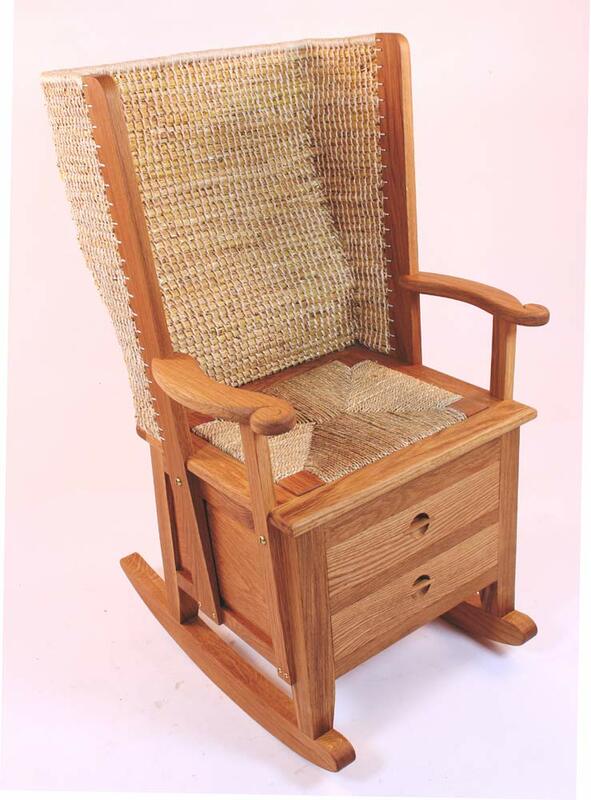 It tells the story of people, place and time. 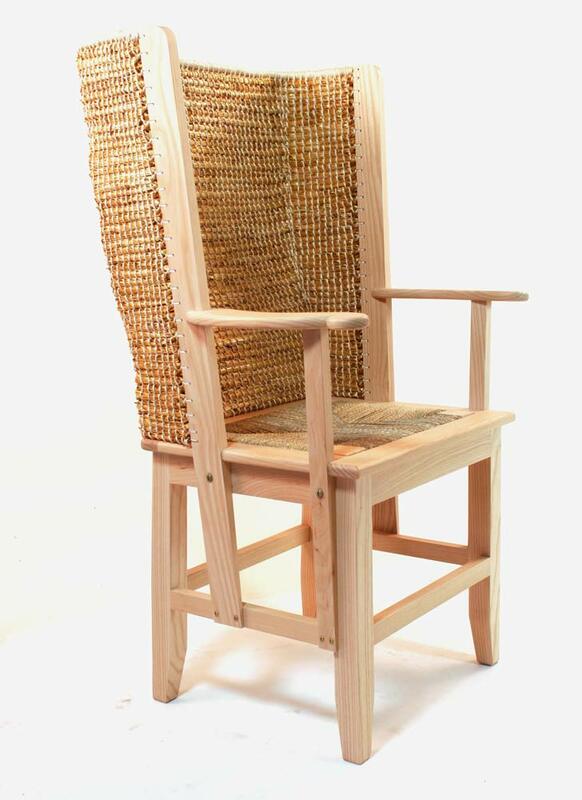 The design of the Orkney Chair has hardly changed over the years, but The Orkney Furniture Maker uses only the highest quality timbers including oak, mahogany and ash and sources Scottish grown hardwoods felled from sustainably managed woodlands - all to create his chairs to the highest possible standard. 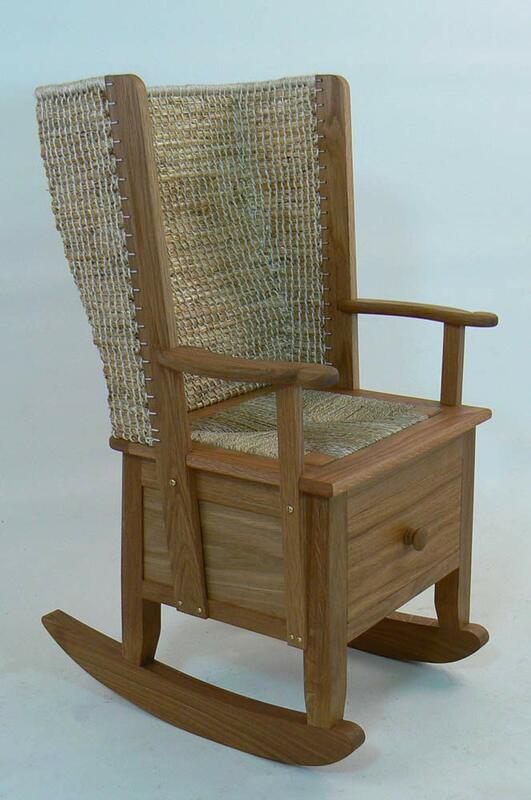 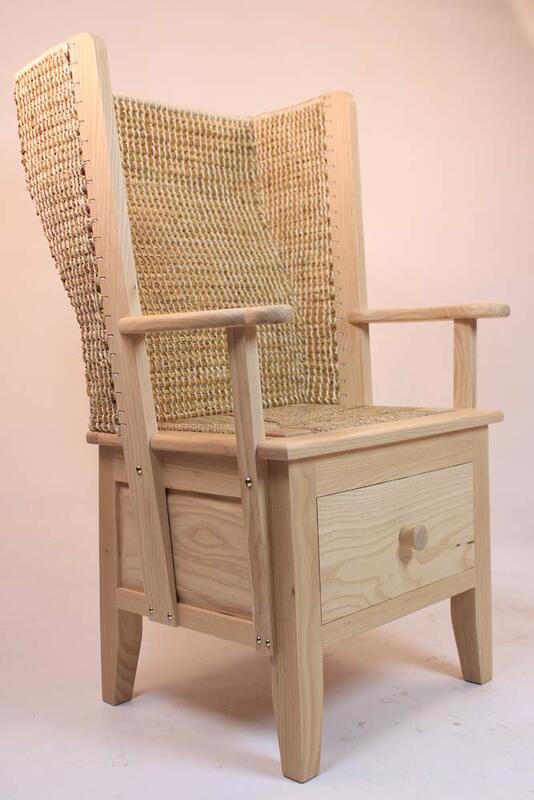 He uses the finest furniture oils to finish the chair which brings out the beautiful figure in the wood. 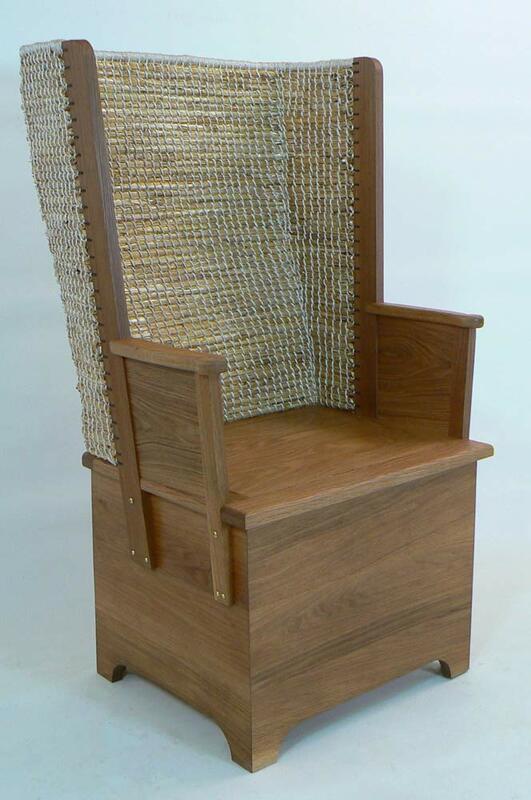 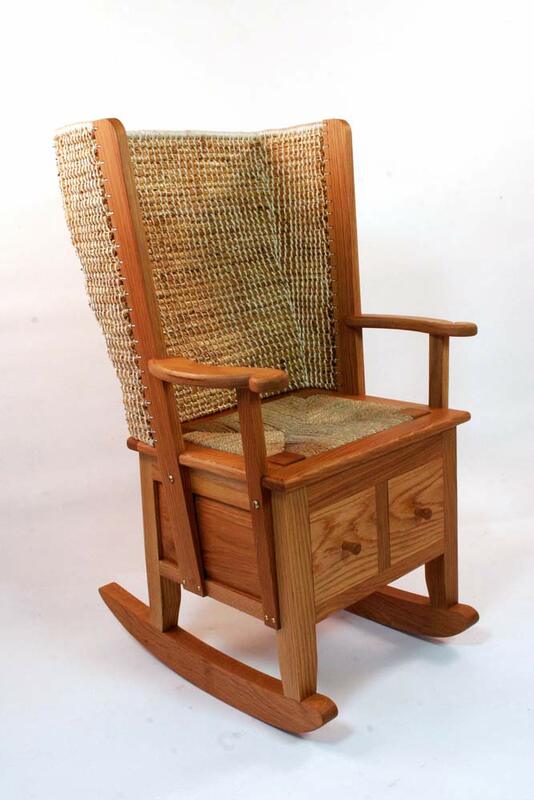 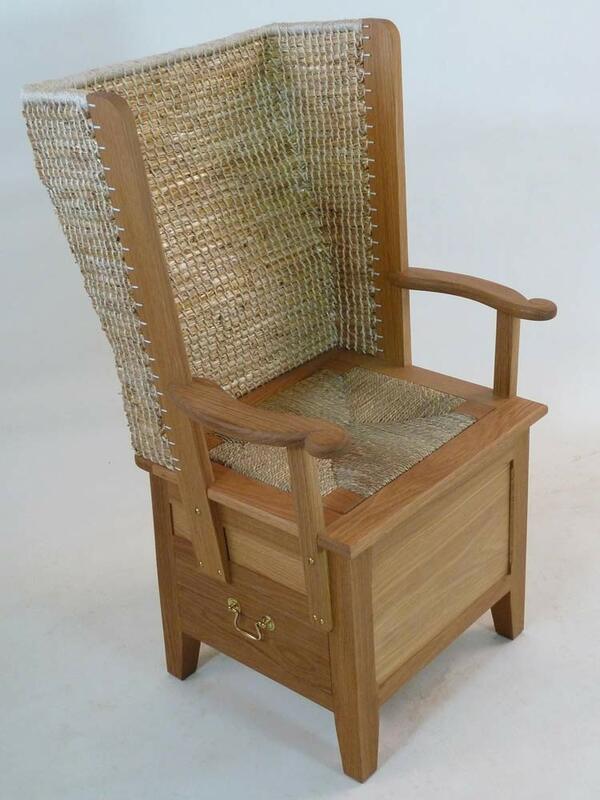 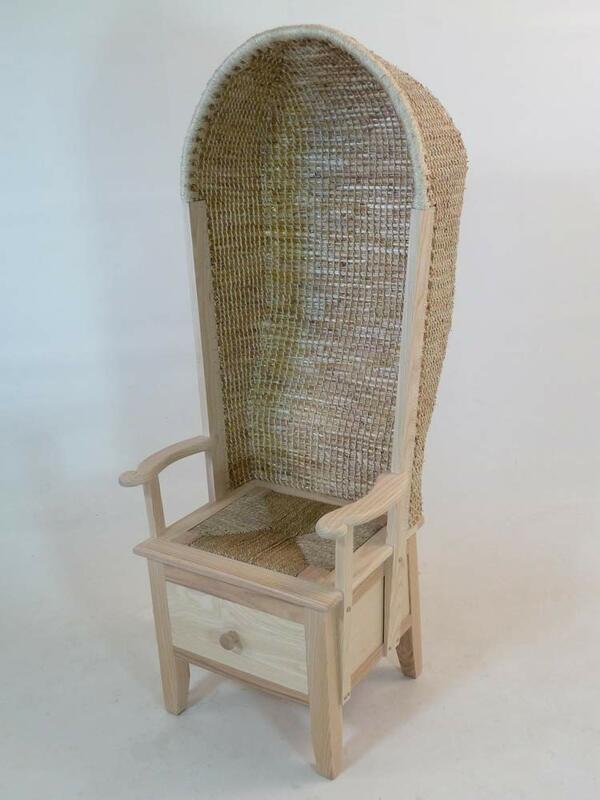 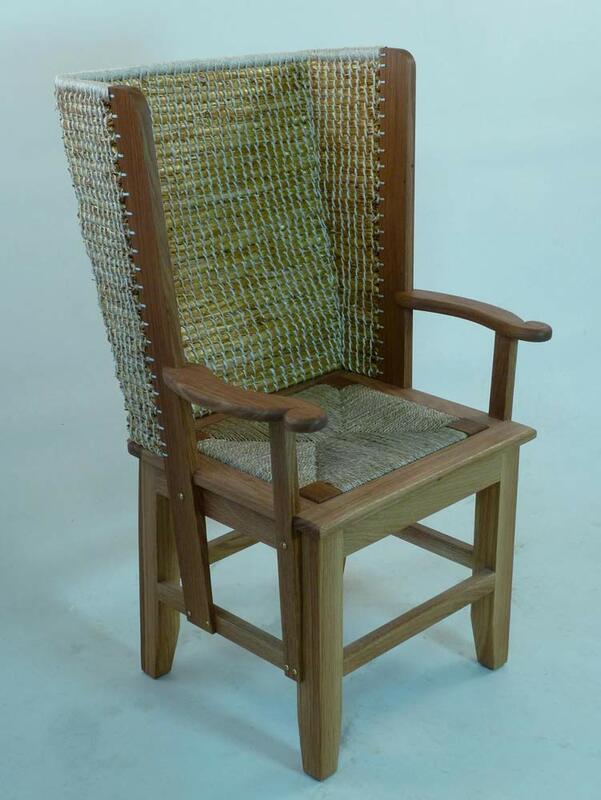 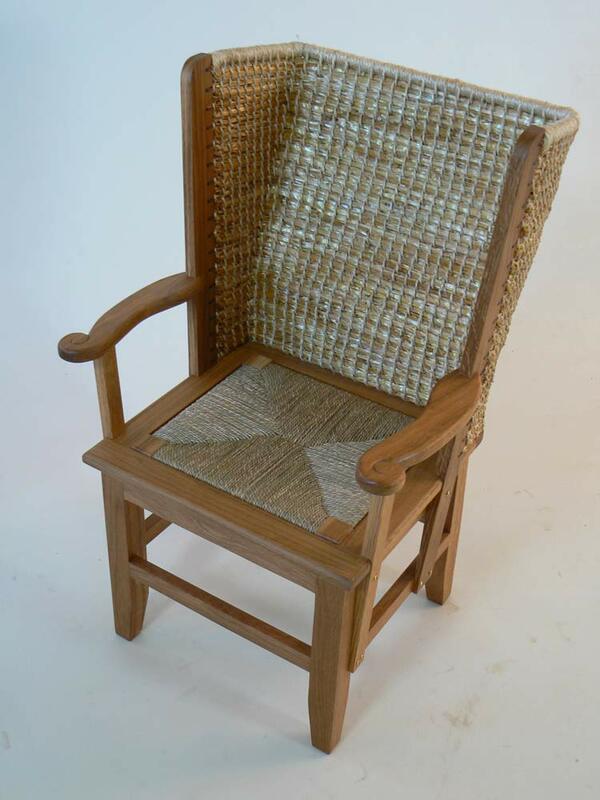 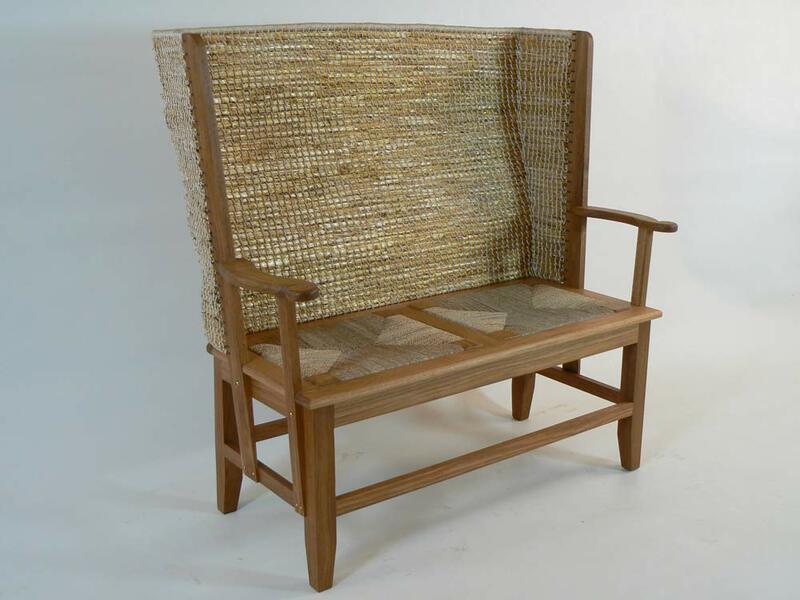 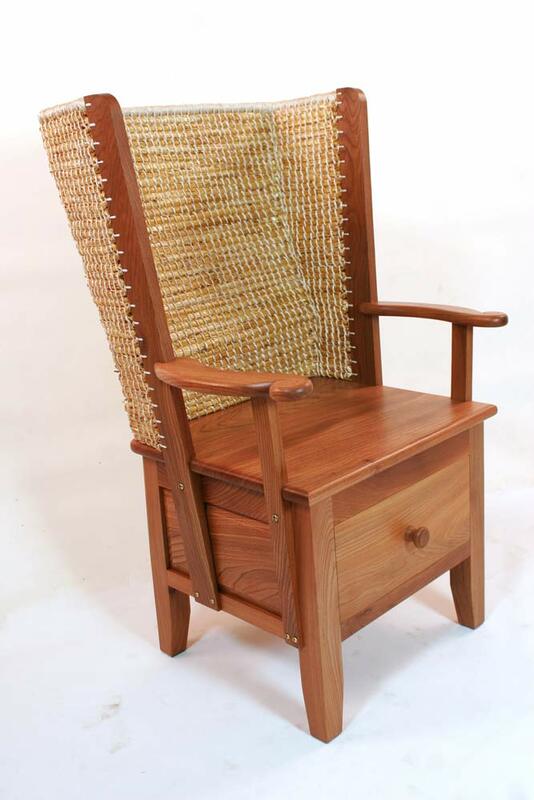 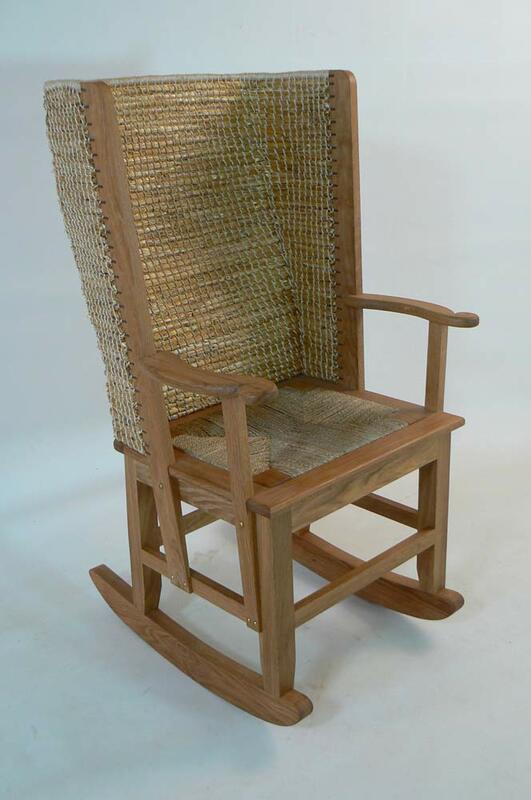 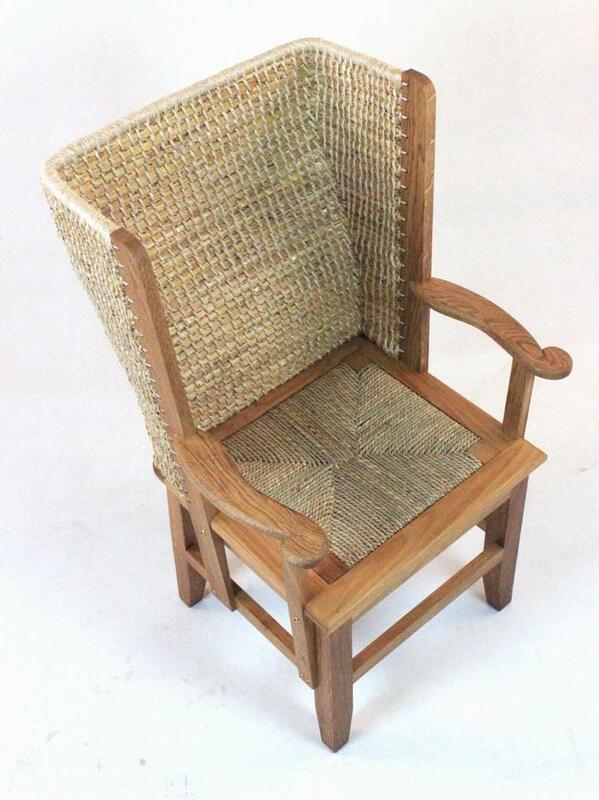 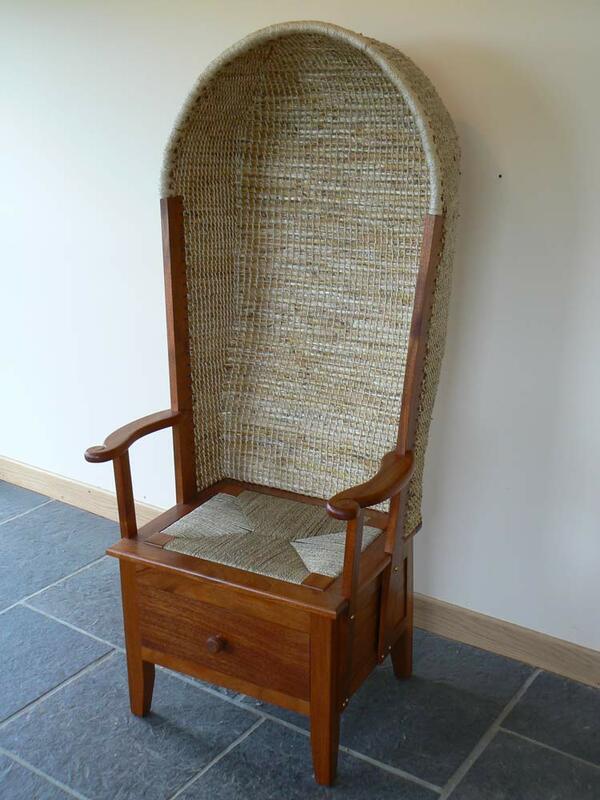 The original chairs generally had solid wood seats but The Orkney Furniture Maker also creates chairs with a hand woven seagrass seat for added comfort and appearance. 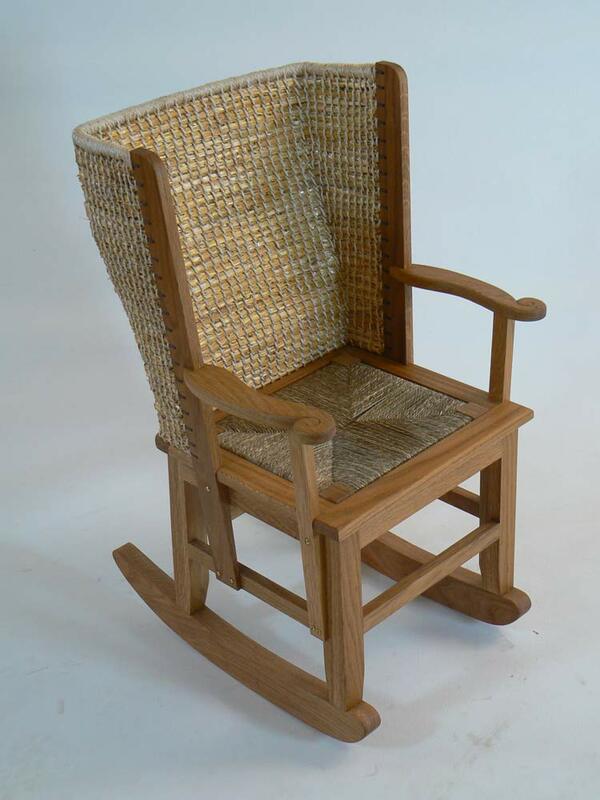 His chairs are also available in different sizes and designs including a Childs Chair, Ladies Chair and a Gents Chair to best suit his clients needs. 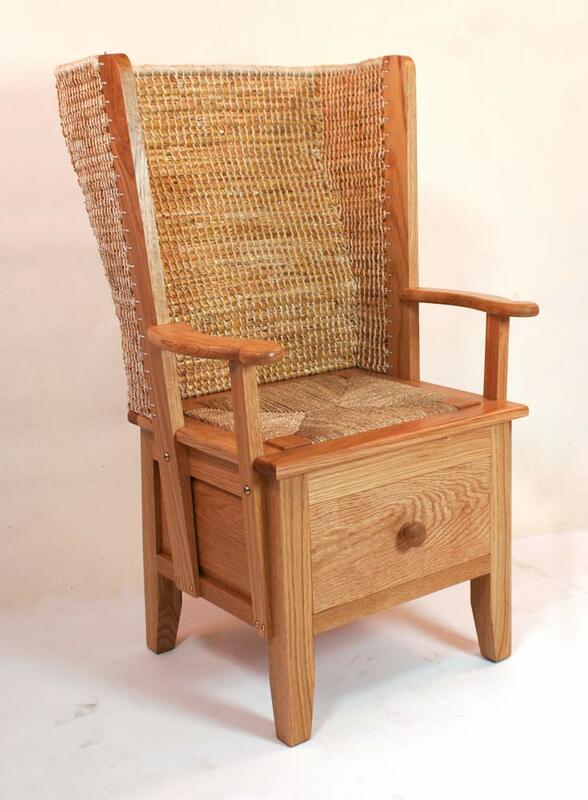 To create his own personal touch and to give him a greater connection to his Orkney Chairs, The Orkney Furniture Maker grows his own oat straw on his family’s farm that is now it its fourth generation; this is also where his workshop is located. 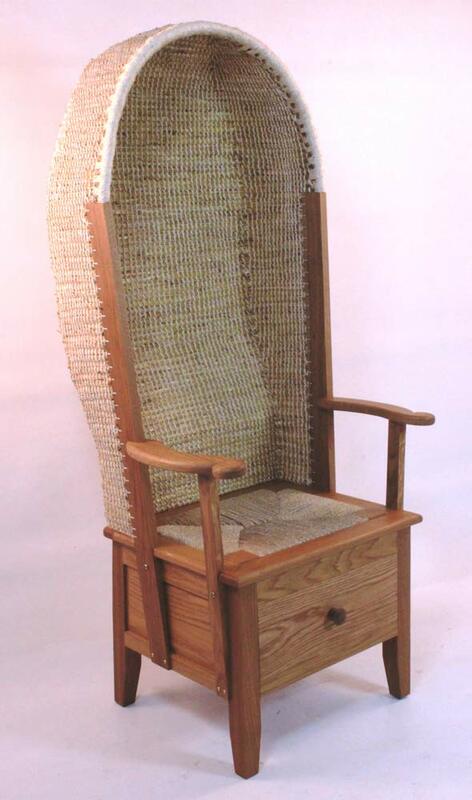 During April, the process of growing the straw begins when the oats are sewn. 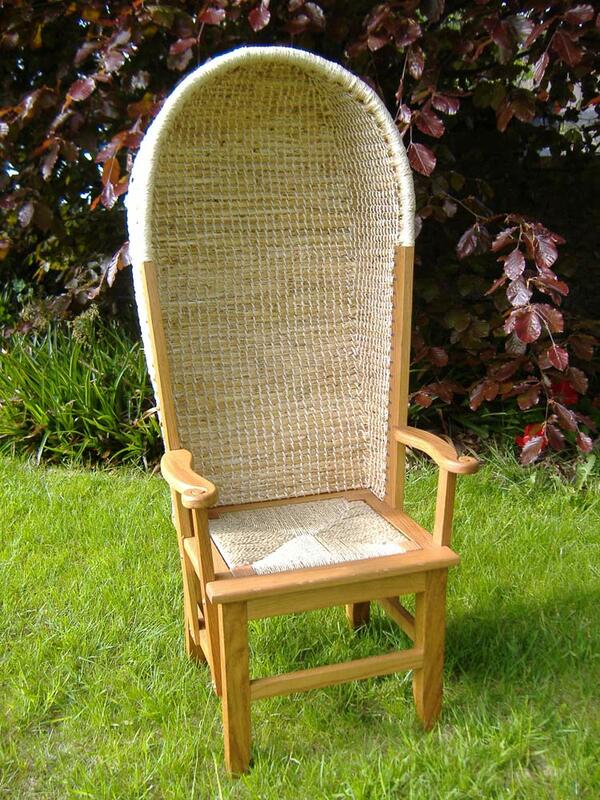 During the early summer months, the young oats benefit from Orkneys long summer days bringing near constant daylight to grow and ripen. 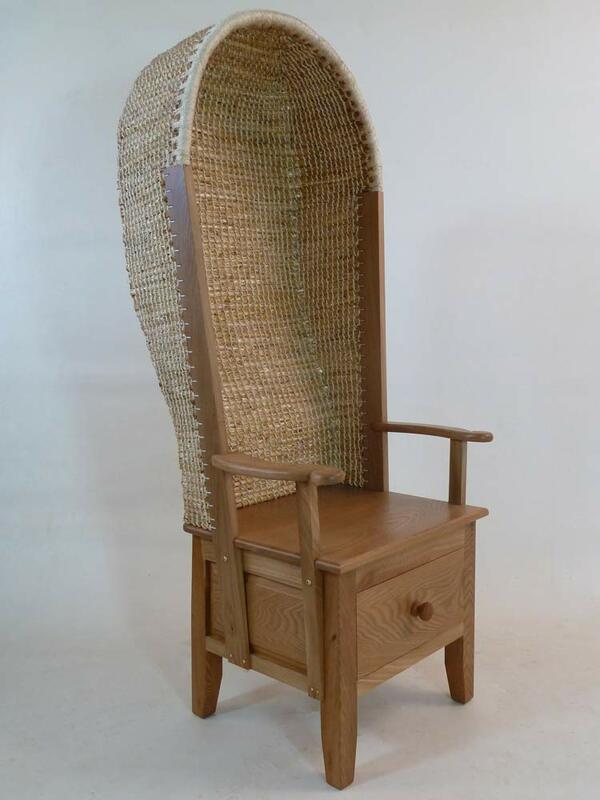 When September arrives, the crop is ready to be specially cut. 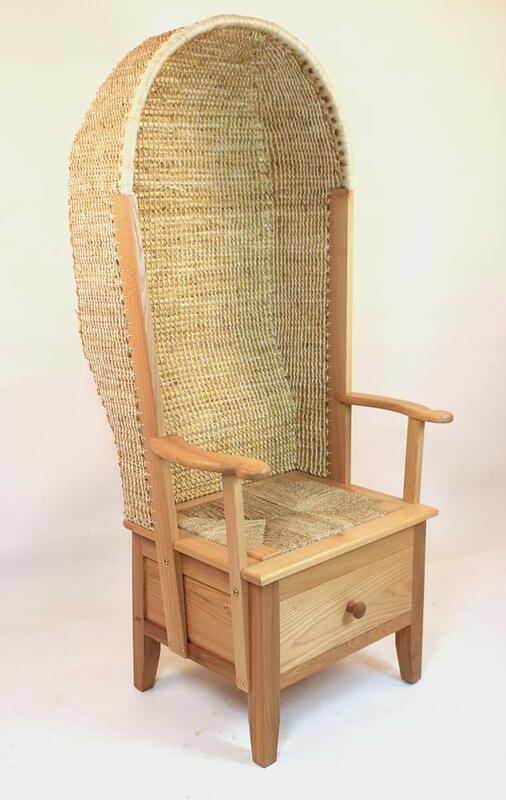 In order to keep the straw in peak condition, a binder or a scythe is used which cuts the crop and ties it into individual sheaves ready to be stooked so the straw can be dried and ripen further. 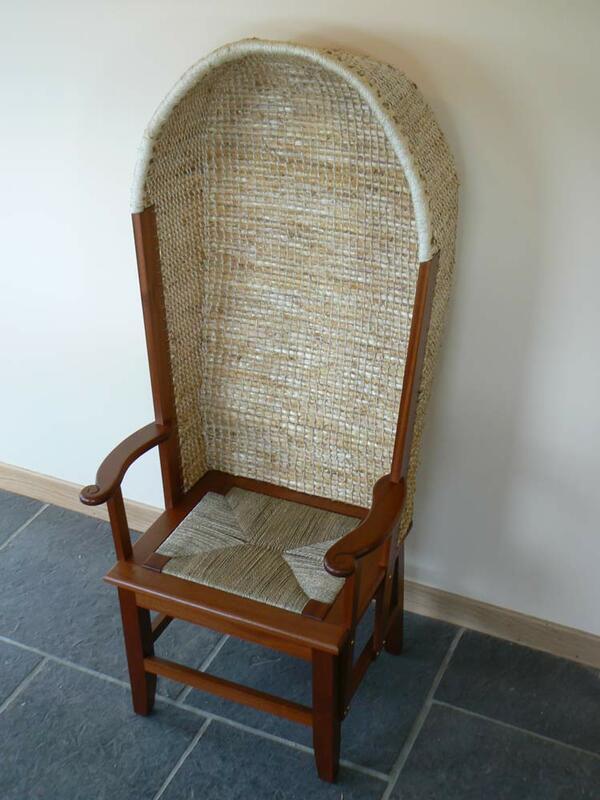 It is during this time that the straw will develop its beautiful, distinctive golden colour which will eventually be the perfect back for your Orkney chair. 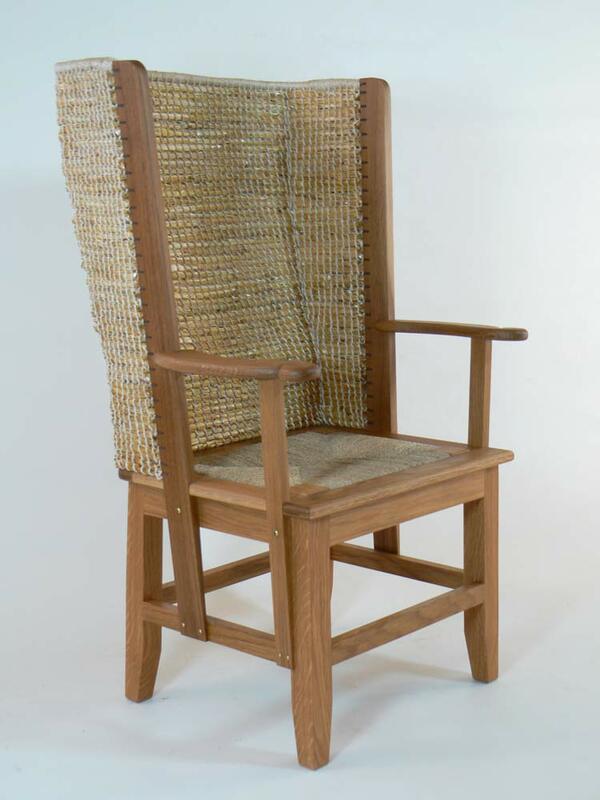 Before this can happen, each individual piece of straw is hand cleaned ready to be stitched into the Orkney Chair frame. 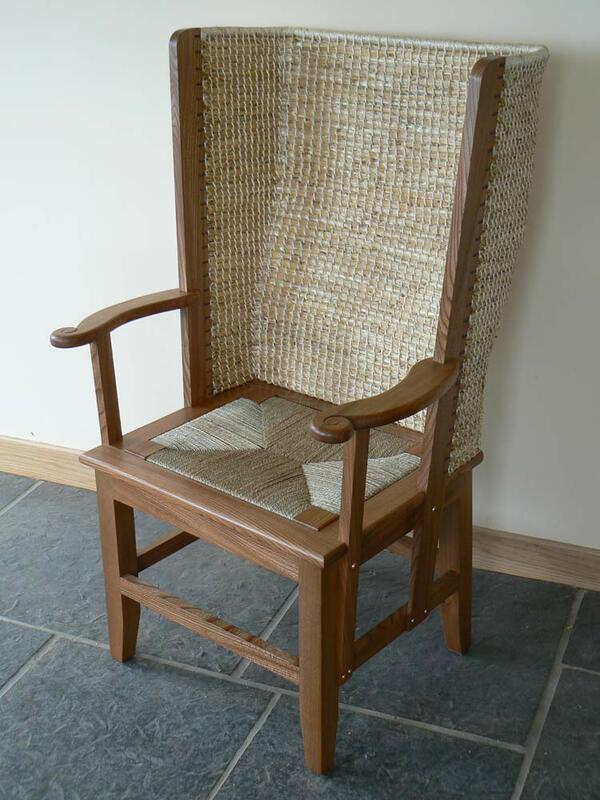 It was first created many generations ago when Orcadian farmers built them for their crofts. 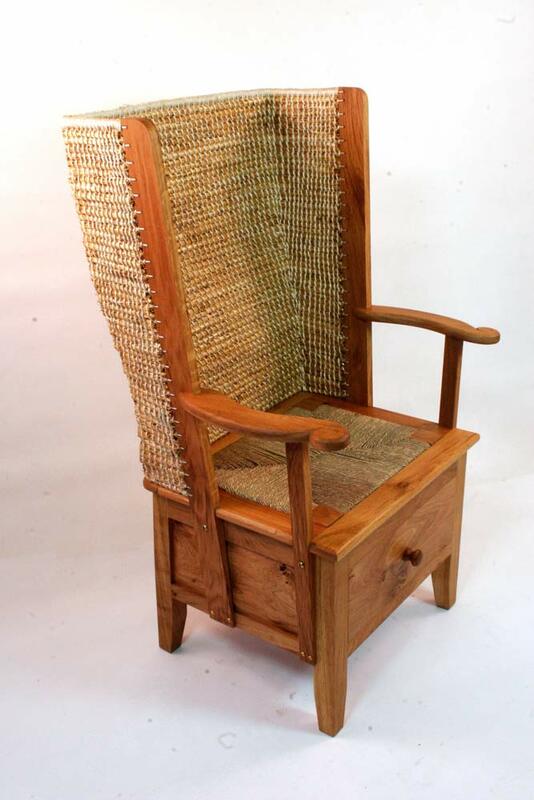 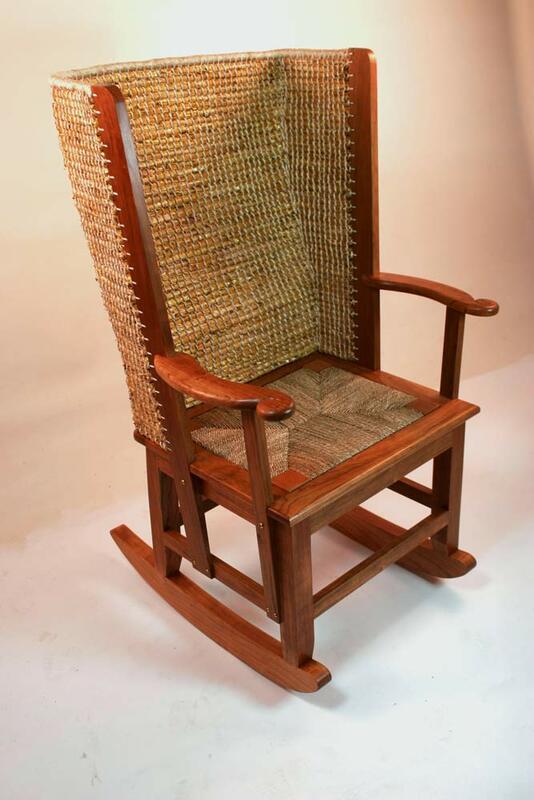 Although there is little official documentation on the origin of the Orkney Chair, the oldest surviving examples of them are chairs made entirely from straw. 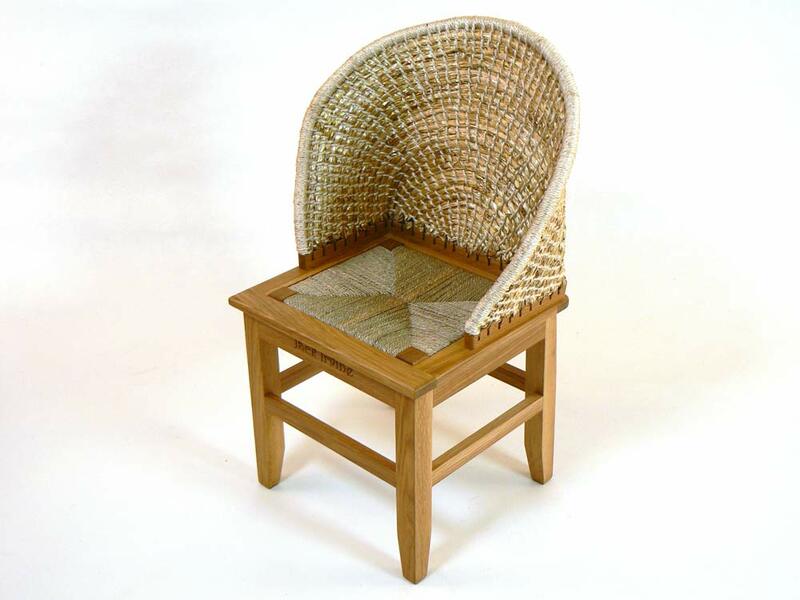 It is thought the design began like this and changed through time into a chair with a wooden base and straw back such as the fan back Orkney chair. 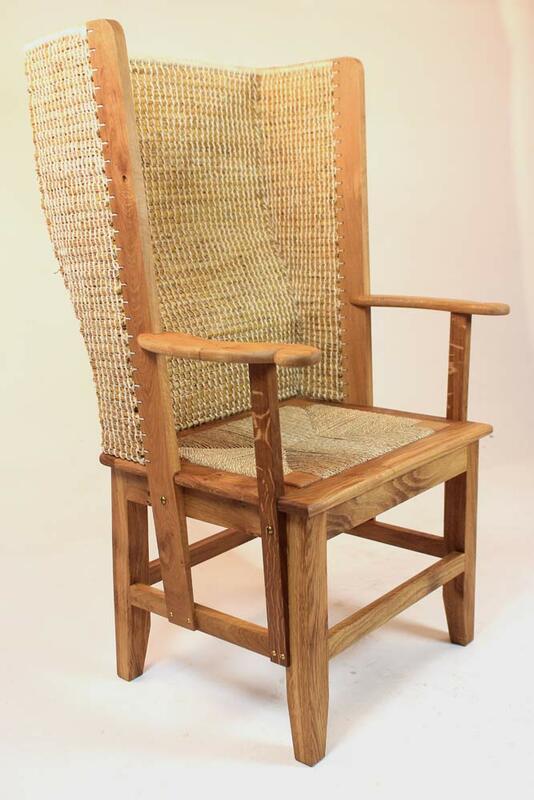 Over time, the design evolved again in to the style of chair most commonly associated as an Orkney chair today; a chair consisting of a wooden base with built in wooden uprights to support the stitched in back, along with arms and their uprights. 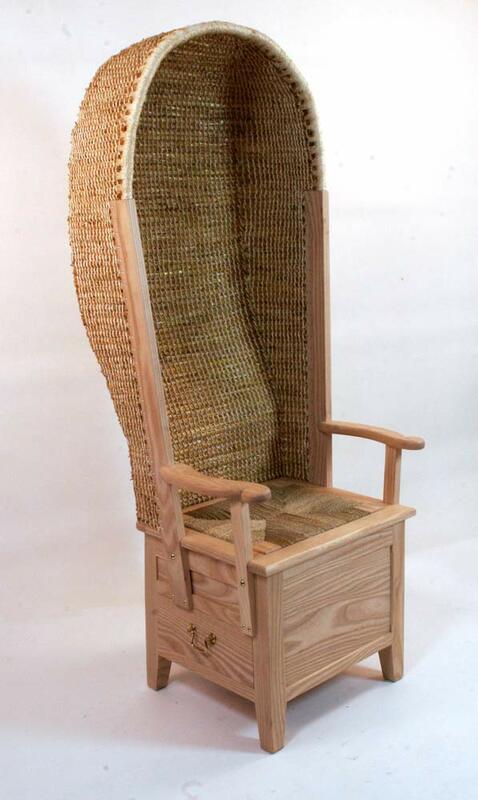 Earlier Orkney Chairs had much shorter legs allowing the user to sit much lower to the ground - this was to avoid the sooty air from the peat fires which were common in Orkney crofts. 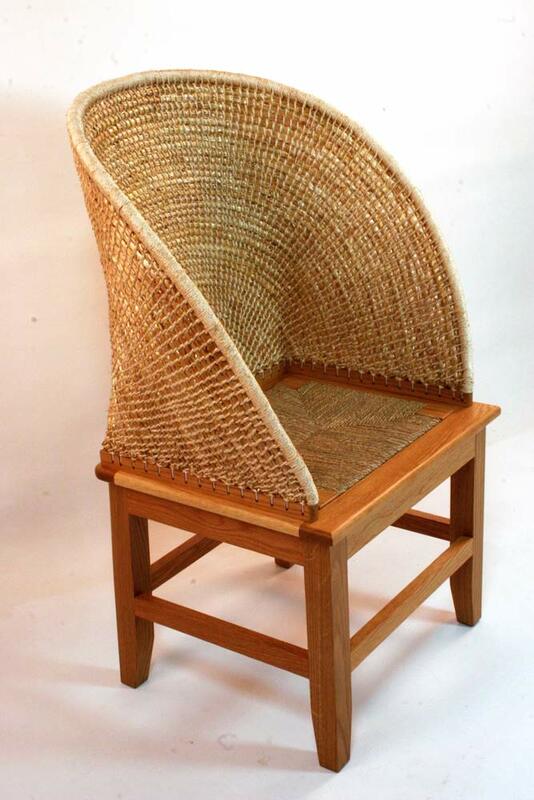 The high, straw back was designed to help protect from drafts and also for added comfort. 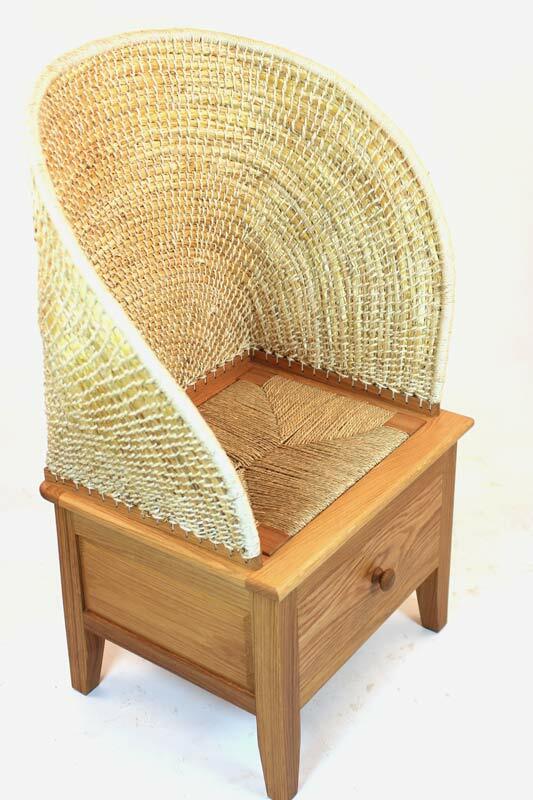 A hood or a drawer was often added to the design and the drawer was used for storage. 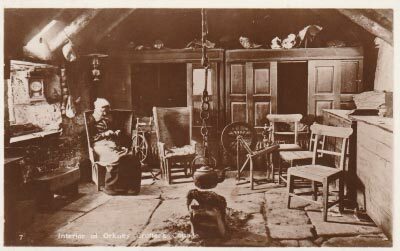 Of course, in the earlier days, high quality timbers such as oak or elm were scarce, particularly in Orkney. 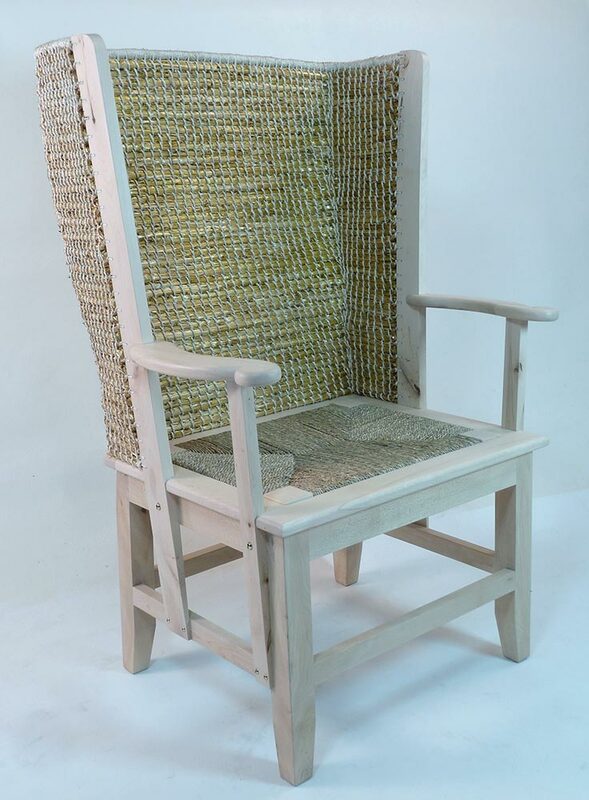 Due to the rugged, coarse weather and plentiful Orkney shores, there was no shortage of driftwood washed up and this is what they would commonly use to construct their chairs and of course, they could grow their own oat straw for the chair back. 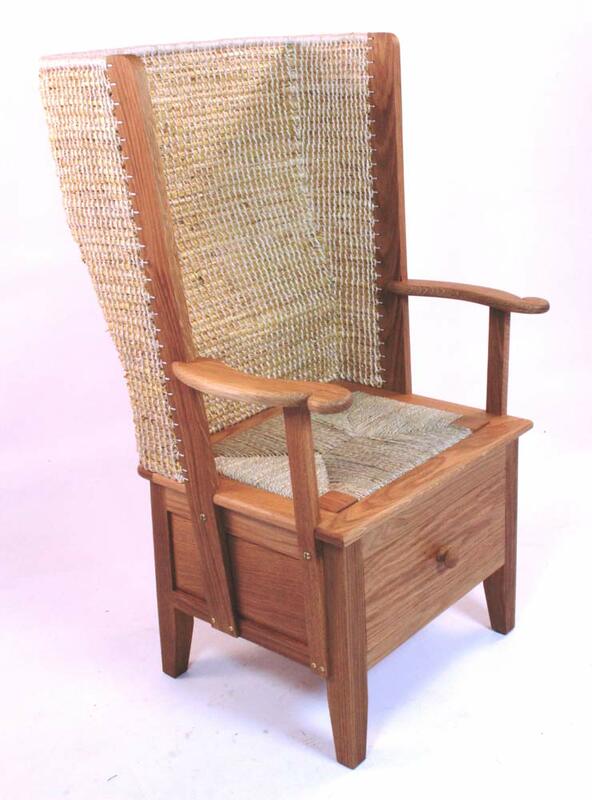 For further information or if you have any queries regarding The Orkney Chair, please do not hesitate to contact The Orkney Furniture Maker. 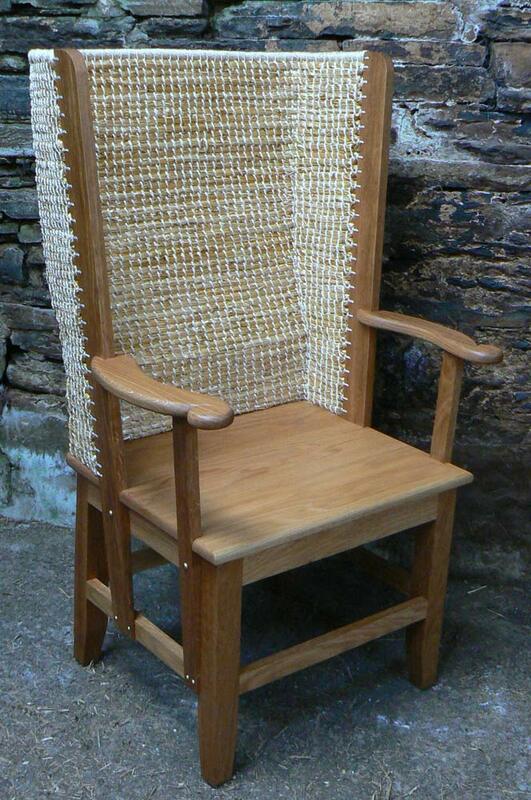 Orders for Orkney Chairs can be placed through this website via our Enquiries page. 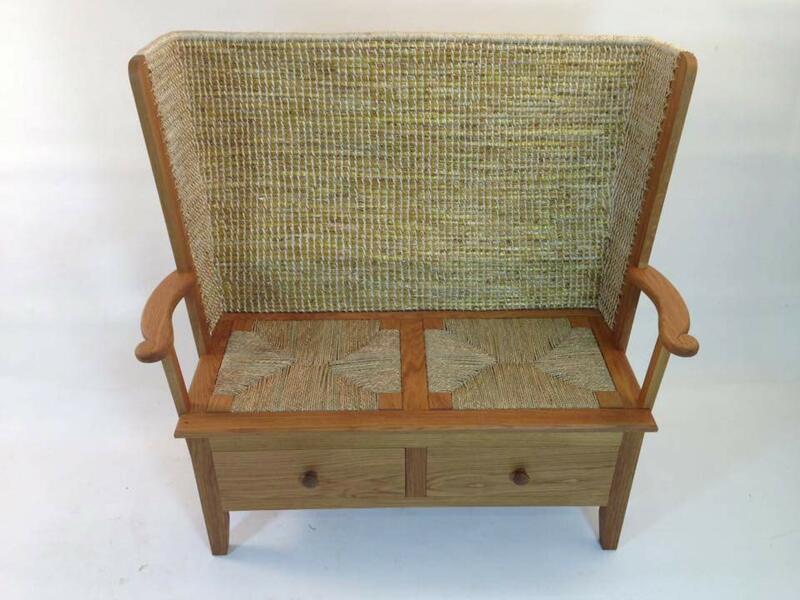 To secure orders, a 20% deposit is required prior to the work being started and customers are advised that there is usually a waiting period as all items are hand-made to order. 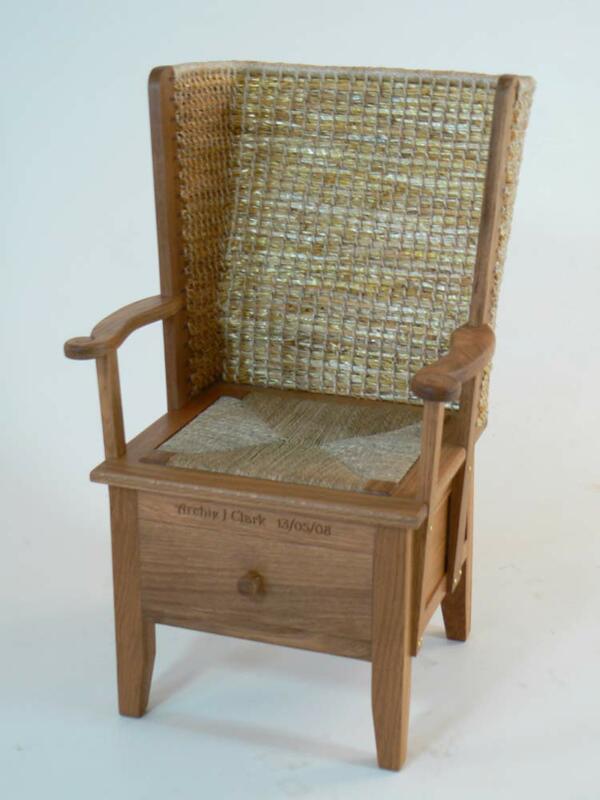 For any further queries or requests, please feel free to contact The Orkney Furniture Maker. 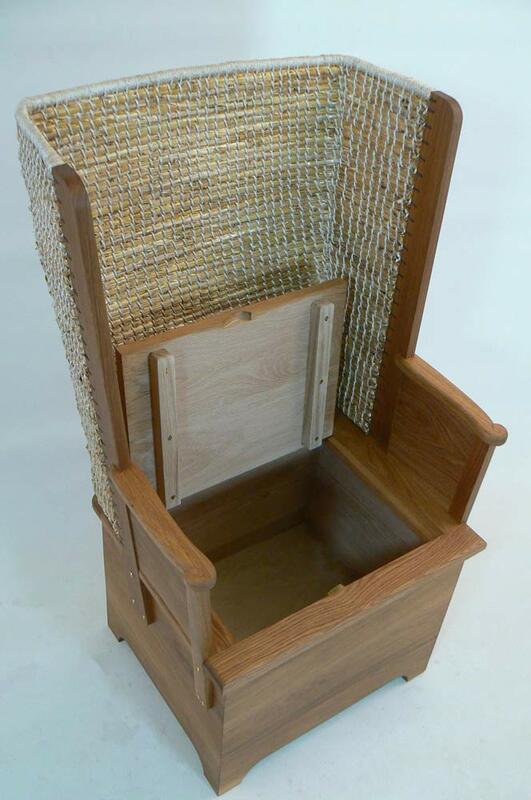 *Postage subject to weight of the item and current postal rates.